SUPER MATTY!!! 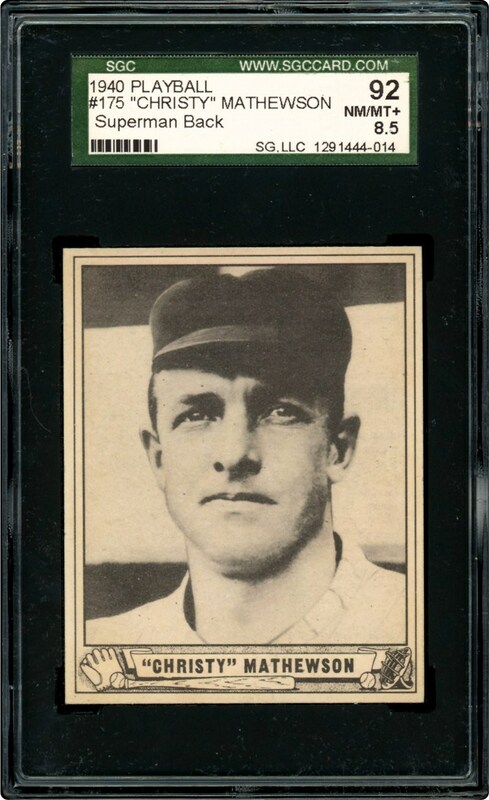 This gorgeous 1940 Play Ball of Christy Mathewson is showcased in an SGC 92 NM/MT+ 8.5 holder. Looks better than the offered grade, this one also has the "SUPERMAN" reverse as indicated by the front SGC flip. 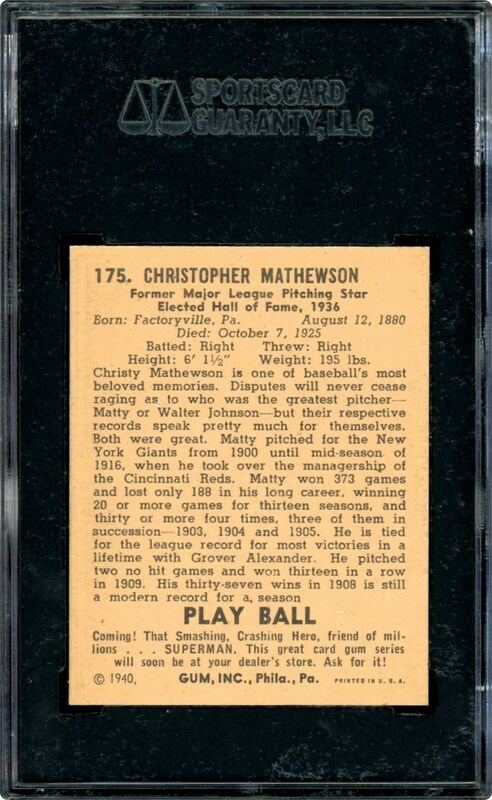 Gorgeous card from 1940 of legendary hurler, Christy "Superman" Mathewson.